As seen on the TODAY SHOW - Jamie wrote the book on brisket. Brisket 101 features 30 of the best brisket, side, slaw and leftover recipes around. 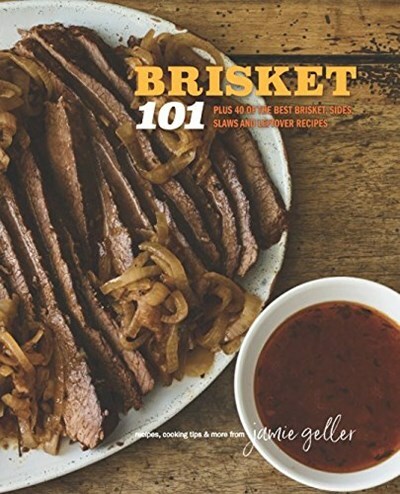 Also learn Jamie's 3 Golden Rules For Perfect Brisket, All About Aromatics, How-To Build Your Braising Liquid and Deglaze, Marinating 101, How-To Make Your Own Spice Rub plus a Special Section on Slow Cooking. You'll be empowered to invent your own recipes once you learn Jamie's easy (to make and easy to remember) techniques. The sky's the limit when it comes to riffing on this holiday and comfort food classic- that spans generations, cultures and seasons. Become a brisket master!